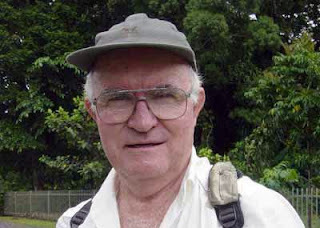 Morobe bush pilot Richard Leahy (pictured) has been moved out of intensive care in Brisbane as pressure mounts on Morobe Governor Luther Wenge for refusing to apologise to him. Mr Leahy, 68, was the pilot of the ill-fated Kiunga Aviation Cessna 185 that crashed in the rugged Saruwaged Ranges of Morobe province last Dec 30, killing six people, with Mr Leahy surviving but suffering burns to the most part of his body and rushed to Australia. Wife Robin said at the weekend that Mr Leahy had been moved out of the intensive care unit in Brisbane but was not out of danger yet. “Richard is out of ICU, but not yet out of danger,” she said. “He has a very long way to go, months probably, and there are ups and downs each day. “However, the staff and facilities at the Royal Brisbane Hospital are fantastic and Richard is in the best possible place for his rehabilitation. Mr Wenge has been in the firing line after his threats to have Mr Leahy charged with manslaughter and deported from the country after losing family members in the crash. Last week, Mr Wenge added more fuel to the fire by refusing to apologise for his remarks against Mr Leahy by saying he did not regret having said them, and said the plane was an old one and could have been replaced with the “millions” Mr Leahy had made. People of Morobe, Papua New Guinea and the world have taken offence at the Morobe Governor’s remarks. “Cessna 185 is an old aircraft?” an Australian pilot said in an email. “Some of us fly aircraft older than that that are in great shape! “Aircraft are usually maintained to a much higher standard than your general ground vehicle. Another said: “A new aircraft does not necessary gurantee safety, Mr Governor! “Aircraft accident is the result of a chain of events. “What if the people of PNG ask you to resign because hospital equipment is not renewed, maintained, or because the security force has not renewed arms and equipment. “Remember, you could buy a brand new plane today and crash it if you fly into storm! “Ask the Ethiopian airline pilot that crashed a couple of days ago in Beirut, Lebanon! Malum - Richard Leahy has been transferred out of the Intensive Care Unit to the Burns Unit (in Brisbane, Australia) so that is good news - four weeks and two days after his prang. Fishing nets, floaters, snorkeling flippers and mask hung out to dry, dinghies and canoes afloat under huge houses with large kitchens and verandas built on tall, crooked mangrove stilts over the sea, and the laughter of swimming children is a typical sight in the fishing village of Viriolo. 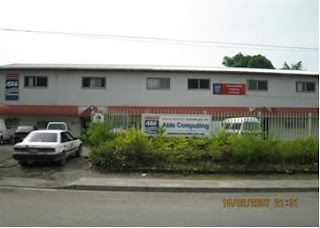 Virolo is located at Cape Rodney, a five-hour drive down the Magi Highway, southeast of Port Moresby. It is the second last village on the Aroma coast but the last of the Hula dialect speakers. The inhabitants are descendants of migrants of who originally came from Alukini in the Hood Lagoon. Having a long tradition of being nomadic seaman, they struck an ancient pact several generations back to settle in amongst the Aroma people of Kapari to solidify a bartering system where seafood could be easily exchanged for garden produce, a relationship that still exist to this day. 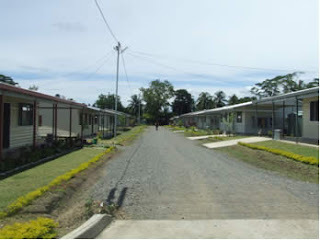 The village is a cluster of houses built on mangrove stilts located at the mouth of an estuary,with a tidal plain that is completely flooded in several metres deep of seawater during high tide and exposes several kilometres of sand and shallow waters when the tide recedes, serving as a playfield for cricket and rugby. Sports activities are scheduled around the times when the tide has receded. All daily social activities revolve around song, dance and church. Whether it is melodious voices and sounds of Ukeles and Guitars in the typical Aroma Coast tunes that fill the early evenings as young people gather to socialise or the sounds of the peroveta (prophet songs) as elders meet for daily prayers in the early mornings and evenings. Given that the people’s whole livelihood depends on the sea, they are seasoned seafarers whose quest to fish the oceans sees no boundaries. A regular fishing trip will easily last two days involving two to three dinghies with six to10 divers venturing onto offshore reefs as far as the waters off Milne Bay and deep into the Coral Sea in search of all that is edible and sellable that the sea can offer. The village rises early at 4 or 5 am when wives, sisters, mothers warm the fires and prepare tea and food for the returning fishermen. Reef fish, turtles, dugongs are regularly brought back and smoked and prepared for sale in the local markets or in town. A simple ritual is always observed where only fishermen will unload and distribute the catch for consumption and sale. Wives and sisters are dispatched to take the catch by PMV into Port Moresby to sell and bring back food supplies of rice, flour, sugar, tea, salt, tobacco and fuel. The people are oblivious to occurrences of the in the outside world, with their only care being their daily existence and happiness. Sharing of all catches ensures that all members of the village community are cared for. Their ancient values retained from a nomadic tradition is the cohesive force that ensures the survival of this fishing community is refreshing, and a stark contrast to the individualist crusade that westernisation promotes but also a constant reminder of our Melanesian heritage and of the identity crisis suffered by the masses within the turbulence of rapid change and western influences. Rice can be grown anywhere but the main problem is lack of quality seeds, seed distribution, training and rice milling facilities. This is more so in the rural communities, especially the remote areas, where lack of transport and road infrastructure is another big obstacle. There are many farmers willing to grow rice but they need access to quality seeds, improved distribution of the seeds, training and also rice mills. While some farmers are prepared to use whatever little resources they have, others expect government services to be delivered right to their doorstep. Others just want to work hard and get their hands dirty first before seeking further assistance. One farmer from Kakoro village in the remote Lakekamu local level government (LLG) in Gulf province braved all odds to travel into Port Moresby last week to pick up rice seeds at the Department of Agriculture and Livestock offices. Despite heavy rains and flooding, he traveled by dingy and road to get the seeds. Kamas Imau said he started growing rice at a young age and took up employment in the city before returning home and back to rice farming. He was happy to have gained valuable knowledge and skills in rice cultivation. Encouraged by an Asian businessman, Mr Inau advised his family members and friends to start growing rice again. Despite many difficulties, he has been struggling to grow rice and has been continuously seeking help from government agencies like DAL and politicians. A former, MP Ekis Ropenu, bought him a micro rice mill which was very useful in assisting other rice farmers as well. The mill is still in good condition and this has motivated many people to start growing rice. DAL officials, who are aware of Mr Imau’s needs, confirmed the remoteness of the area and lack of essential services and high transport costs. They said rural villagers were being encouraged to grow rice as an alternative food source besides their normal diet of sago and others. Farmers in the remote areas need government assistance and access to services. DAL is prepared to provide more training for farmers in rice cultivation, however, there needs to be more cooperation from provincial authorities. DAL officials also suggested that more rice farmers should be encouraged to grow rice both for household consumption as well as for seed distribution. The current process where farmers travel to Port Moresby to obtain rice seeds is too expensive and cumbersome. 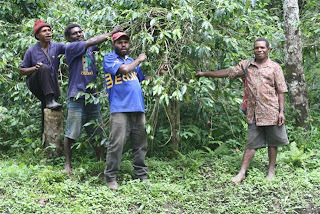 Coffee rehabilitation is touching the lives of many genuine coffee farmers in Papua New Guinea. “Is this the Coffee Industry Corporation that I know in the past?” asked Sime Bangkoma (pictured), a coffee garden owner in the Aiyura Valley. He asked the question as such intervention had not happened in the coffee industry in recent times. Mr Bangkoma shed tears when he saw a service provider group pruning his coffee trees. The CIC engaged the local group to rehabilitate the coffee trees under its district-by-district coffee rehabilitation programme. The Bangkoma name is synonymous with the game of rugby league. 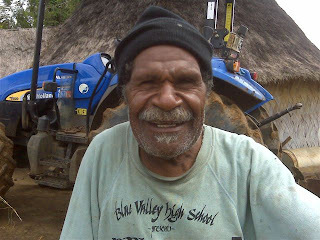 Sime Bangkoma is the elder brother of Napolean and Petrus Bangkoma, who have donned the coveted PNG Kumul jumper in the past. 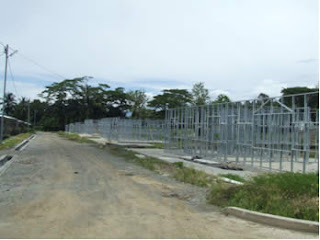 He has a large coffee block which was developed under the 20-hectare block scheme initiated by the former Rural Development Bank (now National Development Bank). The service provider group that carried out the pruning was a coffee farmer group that had been trained in rehabilitation. The group underwent a participatory rural appraisal planning (PRAP) exercise where farmers identified their shortcomings, and accordingly, CIC provided tailored-training to meet their needs. According to the director for the programme in the district, Anton Ningiramu, the use of CIC-trained farmer groups would sustain the programme. “We believe the farmer group members will implement such regimes in their own gardens as well as render their services to others,” he said. The coffee rehabilitation is part of the district-by-district programme that is currently being piloted in Obura-Wonenara in Eastern Highlands province, Kundiawa-Gembogl in Simbu and South Waghi in Western Highlands. Sime Bangkoma was on the verge of abandoning his garden to plant kaukau (sweet potato) because of rampant cherry stealing. “Registered wet mills should be the only place where cherry should be sold,” he said of this scourge. Apart from coffee, Mr Bangkoma also grows rice. Rice growing is becoming popular in Aiyura, popularly known as ‘Windy Valley’. Local Obura-Wonenara MP John Boito is aggressively promoting the farming of rice so that the fertile valley of Aiyura has another alternate crop. Aseki and Menyamya areas of Morobe province are well-known for their high grade organic coffee, however, getting this to market is an absolute nightmare. Aseki and Menyamya produce world-class organic coffee that is highly sought after. Coffee is the leading cash crop in these areas. Tonnes of coffee are produced in Aseki and Menyamya but getting them by road to Bulolo is beyond imagination. 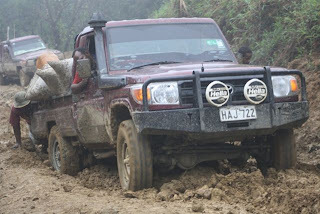 In Lae, if you see four-wheel drive vehicles covered in mud, you would know that they have come from Aseki or Menyamya. Coffee in these areas is grown high in the mountains and sold on the roadside to buyers who come from as far away as the Highlands provinces. Menyamya and Aseki enjoyed their coffee sales through their own exporter Yha Hauka Kopi in the late 1980s and early 1990s. 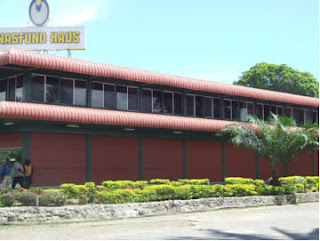 Yha Hauka Kopi Ltd coffee co-operative was founded in 1986 in order to help farmers market their coffee. The co-operative worked to improve the livelihood of its members and other community members. However, it ran into problems due to poor management, and the people of Aseki and Menyama suffered the consequences, coupled with deteriorating road conditions. Over the last 10 years, road conditions have gone from bad to worse, with even four-wheel drives unable to pass through. Menyamya MP, Benjamin Philip, has taken the challenge head on. “The local MP Benjamin Philip had a lot of concern about deteriorating road conditions and purchased equipment with his electoral funds,” said project manager David Kaupa. “The machines are now fixing up the entire problem stretch. “What we are doing is making sure vehicles of any kind can travel up and down the Menyamya and Aseki roads. Coffee buyer Paias Nii, from Mul Baiyer in Western Highlands, is glad that the nightmare is over. “The road problem was a very serious issue for us coffee buyers,” he said. “We used to spend nights camping along the road with bonfires. VEGETABLE farmers in Tambul, Western Highlands province, have every chance of becoming millionaires through farming. If everyone there works the land, and if every effort is made by these people at the foot of the majestic Mt Giluwe – Papua New Guinea’s second highest peak – there is no reason why they cannot supply the whole country with fresh vegetables and make a lot of money in the process. Tambul is a Garden of Eden for vegetable production. It is the major producer of potato and temperate vegetables such as broccoli, cauliflower, cabbage, capsicum, onion, radish and carrots in the country and the major supplier of the renowned Mt Hagen market. 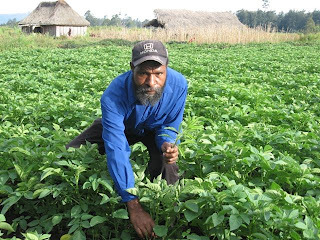 The dream of supplying PNG with vegetables can be achieved on the back of a recently-launched vegetable development project: ‘Developing a Sustainable Potato and Vegetable Production in the Tambul Valley – WHP’. The project was launched at Alkena in Tambul last Nov 7 and will be spearheaded by the MKL Vegetable Farming Group. The group is a newly-established community initiative involving farmers led by Maktol Oke, a specialist potato seed grower in the Upper Kaguel area of Tambul. Mr Oke, who is also chairman of the MKL group, said the initiative was an “impact project” for the 68, 000 people of Tambul-Nebilyer aimed at enabling them to increase their potato and vegetable production for cash and food to improve their livelihoods. 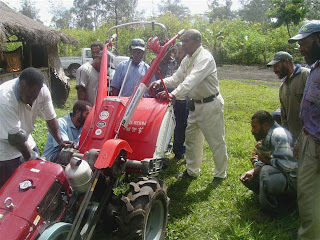 He said the project received overwhelming support from Tambul-Nebilyer MP Benjamin Poponawa, Mt Giluwe local level government, district administration, Lutheran church, local leaders and farmers. Mr Poponawa supported the project with K6, 000 while Western Highlands Governor Tom Olga chipped in with K20, 000. National Agriculture Research Institute (NARI) and Fresh Produce Development Agency (FPDA) assisted with technical advice. “The Alkena Lutheran Church provided vacant land which has been developed into a central resource centre for seed multiplication and distribution to farmers throughout the district, Western Highlands and other potato-growing areas in the country,” Mr Oke said. Mr Oke said potato was an important food crop for high-altitude areas like Tambul, which was making a comeback from the notorious Potato Late Blight Disease of 2003, and the project was anticipated to produce clean and certified seeds for farmers. A total of up to 800 new students from pre-service, in-service, post-graduate and overseas were officially welcomed to the University of Goroka today by the Vice Chancellor and other staff of the university. As part of the orientation programme, held before other universities in the country, students were warmly welcomed to the campus with the launching of a week-long programme of registration, course selection and other activities. The program commenced with a minute’s silence in honour of recently-departed staff member the late Rex Matang, followed by an opening prayer in which the year of study was dedicated to the Almighty Lord. The National Anthem, National pledge and the UOG pledge were also part of the programme opening. After formally introducing staff to the new students Vice Chancellor Dr Gairo Onagi stated in his welcome speech that the university stood on a balance of spiritual and academic life. Students were told that this should be their guide to life at UOG, and that support and the necessary skills to survive would be provided to them by the relevant staff. Dr Onagi also highlighted the fact that UOG is no longer just a teacher’s college, but offers other courses for study. Students were also reminded of their obligations whilst attending UOG as they are part of the university community. Dr Onagi also called on students to respect one another and to take responsibility for their actions, as they were representing their families, tribes, clans and provinces whilst at the university. Students were also reminded of the university’s zero tolerance policy to drugs and alcohol on campus. The purpose of the HIV/AIDS policy of UOG was also introduced to the students. Dr Onagi completed his message by telling the students that he looked forward to a “happy and prosperous year where we can work together”. Staff of the university were then introduced to the students by their respective faculties and departments, along with explanations of their various roles on campus. A short speech was then given by the SRC vice-president to welcome all students and staff to UOG for the 2010 academic year. The program concluded with some comic entertainment which asked the students to focus on their studies and relayed the following message in the local Gahuku language: Motaka Okane – out of so many you are here! Tru Ave! MOROBE Governor Luther Wenge has refused to apologise for his remarks against pilot Richard Leahy and said he does not regret having said them. Mr Leahy was the pilot and owner of the Cessna 185 fixed wing aircraft that crashed on Dec 30 last year instantly killing a family of six passengers. Mr Leahy miraculously survived the crash. Mr Wenge, who is a relative of the victims, called for the deportation of Mr Leahy. His comments were met by disgusted and angry readers who said the governor should withdraw his remarks as Mr Leahy had been providing a service which should have been provided by the government. Mr Wenge said the public failed to understand the context of his outburst. He said he had reacted in such a way because the accident could have been avoided. He said the aircraft was old and never replaced and with the millions that Mr Leahy had been making he should have bought a new aircraft. Mr Wenge said people’s lives were not marbles to play with, and, in the aircraft business, owners must go to all extremes to ensure that their aircrafts were safe for travel. He has, however, expressed his gratitude to Mr Leahy for providing such a service when there was no other service provider. Mr Wenge also refuted claims that he had promised to buy two aircrafts for the Kabwum districts. He said he had never made such commitment and asked the people saying otherwise, to produce facts and figures suggesting he had. Mr Wenge said in 2007 he had fought with the National Government to allocate K20 million for improvements of district roads. There has been an announcement that carbon trading has commenced in PNG. This has been hailed by Mr Kirk Roberts, head of Nupan (PNG) Trading Co. who is quoted in the PNG Post Courier of 26th January 2010 as saying: "This is a fantastic thing for PNG, who has chosen to take advantage of commercialised carbon trading while the rest of the world talks and talks. And the bottom line is PNG saves their rainforests from logging now, while providing a living and income for the landowners next 100 years." What Mr Roberts hasn't revealed however, is how his claim will be substantiated. 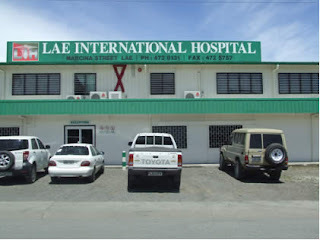 The claimed amount of around K200,000 that was distributed to the Incorporated Land Groups (ILG's) in East Pangia in PNG's Southern Highlands is remarkably similar to the reported K200,000 previously paid to a Mr James Kond, a business associate of Mr Roberts and apparently for services that were never fully explained. The article raises more questions than it answers. In any public business arrangement, there has to be transparency between those participating in the arrangement and public. Does the PNG government recognise this arrangement, given that the previous government Office responsible for these matters has recently been reorganised? Are the payments to be taxed or untaxed and who is responsible and accountable for the distribution of these public monies? No details were provided as to where the funds originated or what those unnamed providers of this largesse expected in return for their contributions. If K500 is to be distributed between the estimated thousands of people who were reported to be at the signing of the agreement it won't go far if everyone gets a cut. Speaking of cutting, it was claimed that these agreements will stop timber companies from cutting down the forests covered by the agreements yet exactly how this would be policed was not explained. The Southern Highlands reportedly contain regions that are virtually in a state of civil war with very limited government control. What happens when and if the initial payments are spent and a timber company then offers to buy the trees? Has there been a survey on which trees are in the area covered by the agreement and which trees are not covered? Has there been a full and independent examination of who are the rightful owners of the trees? An unnamed 'project scientist' is quoted as saying during the ceremonies that: "the people would need to actively work in the forests every month, to provide data and manage the condition of the trees." Exactly who the people would be reporting to and how this would be managed was not however revealed. The report then went on to claim: 'It is expected that thousands of jobs will be created by this process, which will provide employment for generations to come', but did not elaborate how this would happen. For those who have seen these promises happen so many times before, without transparency and proper planning, the initial hype of a project such as this so often leads inevitable disappointment when the full details become known. Without further details, the potential for this to be revealed as yet another 'cargo cult' or 'win moni ikamap nating' is exceedingly great. If that does eventuate, it will only exacerbate the disappointment and frustration of the forest owners and further enhance the plans of the timber companies and their offers of buying and felling the trees. Where will Mr. Roberts be then I wonder? NEARLY K200,000 was paid to the Incorporated Land Groups (ILG) in East Pangia, Southern Highlands as the start of the proceeds they can expect from signing up for the carbon trading project. The distribution, in the form of sitting fees, saw K500 paid to every participating ILG, an amount that was clearly significant given the tears and smiles as each ILG signing was celebrated by thousands of people at each Undiapu and Apanda villages. The forests were recently under threat again, this time from a Madang-based logging company, who had requested that the Forestry Department revalidate the FMA issued some 17 years ago. Upon consideration, the Forests Minister and the board set the application aside, so that the ILGs could have the opportunity to contribute to the discussion. And that they did, with more than 300 signing with Nupan (PNG) Trading Corporation Limited last Saturday to start a carbon trading project to prevent logging in the area and preserve their rainforests for future generations. A project scientist said during the ceremonies that the people would need to actively work in the forests every month, to provide data and manage the condition of the trees. It is expected that thousands of jobs will be created by this process, which will provide employment for generations to come. This is the second carbon trading project in PNG that has been facilitated by Nupan (PNG) Trading Corp. The company's boss, Kirk William Roberts said: "Now we have two projects being developed to the VCS (voluntary carbon standards) verification standards, with Kamula Doso now moving to the PDD stage. Within the next five months, we expect to have at least another 30 projects being validated with credits issued in turn and then sold on the world markets. "This is a fantastic thing for PNG, who has chosen to take advantage of commercialised carbon trading while the rest of the world talks and talks. And the bottom line is PNG saves their rainforests from logging now, while providing a living and income for the landowners next 100 years." RELATIVES of the victims of last month’s tragic aeroplane crash in Boana, Morobe province have slammed their relatives and Morobe Governor Luther Wenge’s media outburst against pilot and airline owner Richard Leahy, The National reports. Relatives who came from Baindoang, Bombom, Karau, Kasanombe and Mo’oom villages to mourn the dead said Mr Wenge’s outburst as “emotional bearing self interest and meaningless” to gain political mileage “without the consent of the relatives”. Mr Wenge, who is a first cousin of the mother who perished with her three daughters and two grand children, has called for the arresting, charging, and deportation of Capt Leahy. “The accident was waiting to happen,” said Mega Naio, father of one of the deceased Jacinta. Jacinta was with her aunt Dambi Kindi and her daughters and grandchildren on the fateful flight. “Capt Leahy dedicated and risked his entire life flying over the Finisterre and Sarawaged ranges for more than 30 years,” he said. Mr Naio said it was time Mr Wenge and Nawaeb MP and Public Accounts Committee chairman Timothy Bonga improved road services or “purchased an aeroplane and improved rundown airstrips to link the areas to the outside world”. “It was Mr Leahy who solely ventured into small airstrips providing services to improve livelihood of inland communities,” he said. He flew into rundown airstrips like Kasanombe, Baindoang, and Zinange in Nawaeb and Teptep, Lowai and Sapmanga in Kabwum. “The plane has crashed and we are left without any means of receiving services,” said another relative. 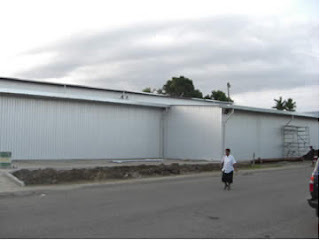 Amidst all the gloom and doom in Lae, at least one company, Nasfund, is helping to develop the place with new properties and buildings popping up. Nambawan Super has come forward with its comments to the Independent Consumer and Competition Commission (ICCC) calling on relevant authorities to consider among others, the establishment of a National Housing Policy. 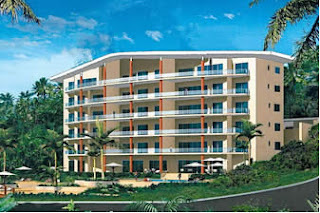 Nambawan Super is one of the biggest owner and developer of properties in the National Capital District. Managing Director, Leon Buskens said there was an obvious lack of an overarching ‘National Housing Policy’ to holistically address the housing needs of the country and this has resulted in state of condition that we are in today. Mr Buskens said while some employers and institutions like Nambawan Super were working on being part of the housing solution through relatively small housing roll out programmes, more could be achieved through a collaborative and sustained platform such as the National Housing Policy framework. Mr Buskens said the policy should also restrict non-citizens to acquire only new stock of housing, as was the standard in many other countries such as in Australia. He said the fundamental issue was a supply and demand of houses, where the gap had significantly widened and would get worse. “The restriction in a way will encourage and stimulate the development of new housing stocks and help reduce some of the market distortions going on of highly inflated prices,” Mr Buskens said. Mr Buskens said the National Housing Corporation should be overhauled and reformed to truly fulfil its mandate of annually rolling out houses across the country for the low to medium income segment of the market and that the direct influence of Government be removed from the NHC Board to allow management appointments to be linked through an independent regulator for corporate governance adherence and policy direction. Commenting on undeveloped land, Mr Buskens emphasised the management of undeveloped land must be publicly re-tendered strictly under improvement covenants conditions. “This is to avoid the many individuals/companies who have no direct development capacity and acquire titles to large land blocks such as the Urban Development Lease (UDL) with the intention to selling off the land at highly inflated prices which already impedes on any business case for housing developments,” he said. He said there were impediments to the construction of affordable houses as evident in the high cost of infrastructure, civil, design, utility services and the slow response from regulatory services for certification. In addition the high taxes imposed on import of building materials, thus the need to implement tax concessions for developers based on volume and funds invested must be considered. Mr Buskens said with the current tax exemption on low cost housing in which IRC defines low cost housing to be at K75, 000, this must also be reviewed up to K150, 000 – K200, 000 so that this will in turn assist members of superannuation funds to be able to access their accumulated interest on top of their 100% contributions without being taxed. He said lending by banks and financial institutions had improved with longer-term repayments such as BSP’s 25 years repayment for home loans, the loan term duration should gradually move to 30-40 years. Mr Buskens also suggested for governmental assistance to be given to employers who have home ownership schemes in place to lessen the burden of the costs involved in the schemes through some form of tax relief or incentives. In his comments on controlling settlement areas in cities and towns, Mr Buskens said some thought should be given to identifying land on the outskirts of the city/town boundaries which could be subdivided and allocated to whole families who reside in current settlement areas. “Proper planning of land usage for settlements is needed to control the spread of settlements and people who reside in them,” he added. Housing in Papua New Guinea is in crisis and needs urgent Government attention through a reform package, according to the Independent Consumer & Competition Commission. The ICCC said this in its final report on the Review of the Housing and Real Estate Industry (HREI) to the minister for Treasury and Finance, Patrick Pruaitch last Tuesday. 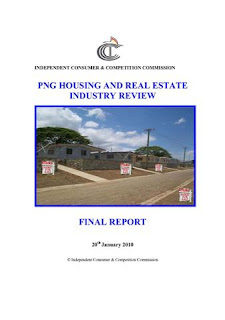 “The final report contains the commission’s concluded views on the housing and real estate industry and recommendations of a reform package aimed at improving supply and making houses more affordable to ordinary Papua New Guinea citizens,” according to ICCC chief executive officer and commissioner Thomas Abe. “The enormous scale of the housing problem in PNG dwarfs those in other countries and requires a paradigm shift in thinking and taking a completely different approach to that being currently pursued. “The scale of the housing problem has reached crisis proportions – more than 40% of the people live on less than US$1 a day. “Trying to ‘transplant’ developed country approaches in PNG will not work as the scale of problems in these countries, their stage of economic development and their business environments are completely different. Mr Abe pointed out to the enormous potential for growth of the housing sector which would diversify the economy as a new contributor and generate employment, savings and investment which would raise living standards if this package of reforms was implemented. “The commission, in devising the reform package for consideration by government, has considered various studies on housing, the current land reform initiatives and the feedback from consultations it has undertaken throughout the review process,” he said. Mr Abe said the report described the constraints on the development of the housing sector as being largely attributable to ‘piecemeal’ and sometimes contradictory, attempts to address the symptoms rather than the cause of the malaise, which benefited some sections of society at the expense of others; and had been implemented efficiently. “What is required was a holistic, externally-consistent, economically-sensible approach that was made known to the market and to the public, who are ultimately affected,” he said. “This lack of certainty and direction has stifled investment in the sector. “A key aspect of this review is that it recommends an approach which takes account of the scale of the problem and the limited resources of Government. “Providing monetary assistance for housing to certain segments of society does nothing to resolve fundamental economic bottlenecks – they only create distortions which exacerbate the problems for others. Lack of clarity of Government policy, which, in turn, creates the conditions for divergent and sometimes conflicting, initiatives on housing, by various arms of Government. “A lack of coordination within the National Government, and between that level of government and the relevant arms of the provincial and local level governments, in relation to issues such as zoning, building approvals and other statutory authorisations also holds back residential construction,” he said. · Well-targeted incentives to private sector provider of micro-finance to rural dwellers for community-based housing credit. Housing bombshell for Papua New Guinea! Every school a good school?